Sugar Legowski-Gracia is a girl unsure of who she is and who she is meant to be. Half Polish and half Puerto-Rican, obese and shunned from living a normal teenage life. She struggles every day against her bullies, including her bed bound mother, aggressive brother Skunk and school friends who are distant at best. After meeting a boy called Even (yes, Even…not Evan) she begins to question the life she leads and the people she is surrounded by. As I began reading this book there were a few things that were obvious to me, the first being that Sugar was a food addict. I have a little bit of real life experience with food addiction from people I know, from what I have heard people explain to me about the feelings they go through this book was fairly accurate. When Sugar was describing her eating in times of high anxiety and the relief she felt you got the distinct feeling of her dependence and addiction. Another thing that was obvious to me after just a few chapters was that at its roots this is a story of abuse. 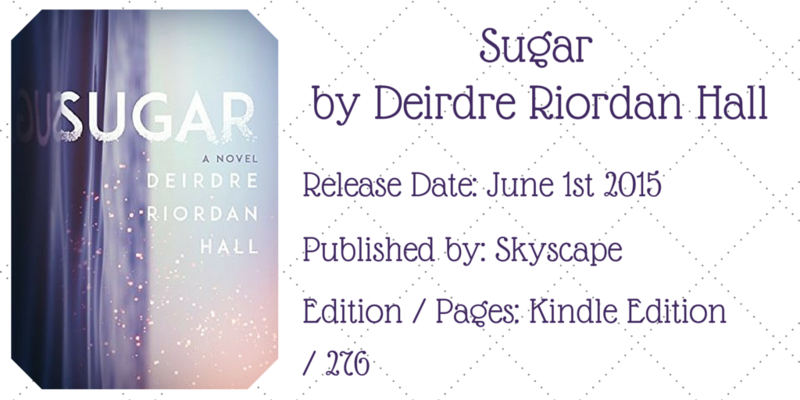 Sugar is mentally and at points physically abused by her family and friends. A worry of mine whenever there is a story of abuse in YA where there is also a romantic interest is the idea that this romance will ‘save’ the abused. This story had a hint of that, as Sugar meets Even and begins to bond with him her problems seem to begin to have answers. In my ideal world there would have been no romance but instead have Sugar find her strength from her other older brother who was an invisible support network she had all along. There are so many terrible things that happen in this book it’s difficult to read a lot of the time. I got choked up more than once and even had to put down the book for it was just too much at times. There are a few bad things that happen in the later parts of the book that I won’t talk about but needless to say, they didn’t need to happen. This poor girl was subject to abuse from so many sources as well as her addiction and her general depression. It all just felt like a ‘sad to-do list’, perhaps a focus on just one or two of the horrible things would have packed more of a punch. The writing of this book is overall very good, easy to read and follow. The descriptive language is very well done, really immersing you in Sugars world whether you want to experience her pain or not. Overall it was enjoyable and an interesting read, including diverse characters and ‘taboo’ subjects.